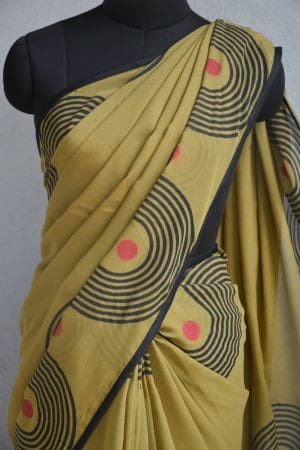 Block printing is believed to have originated in China, but today it is very well adopted by India. 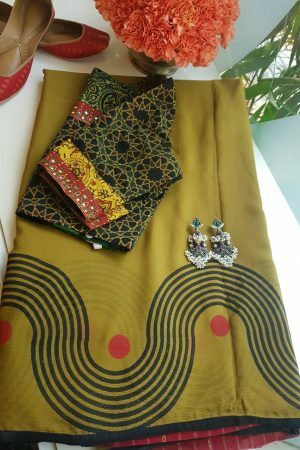 The creative Indian minds started practicing this art form on dress materials. 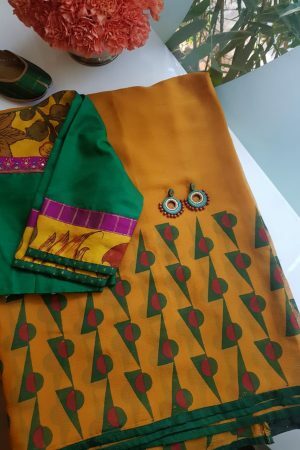 It has become a very popular form of dress printing, especially in Gujarat and Rajasthan. 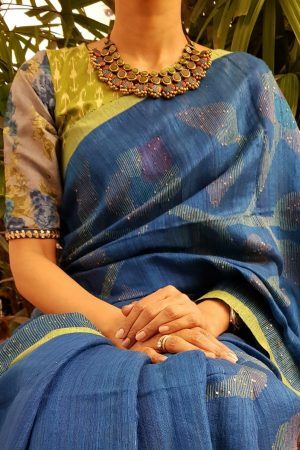 Taking inspiration from a much acclaimed design form, Aavaranaa has launched a range of exquisite handblock printing sarees. 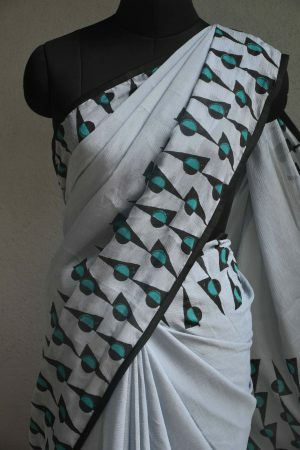 The sarees are primarily handwoven, and various patterns with the help of block printing are assigned to these sarees. 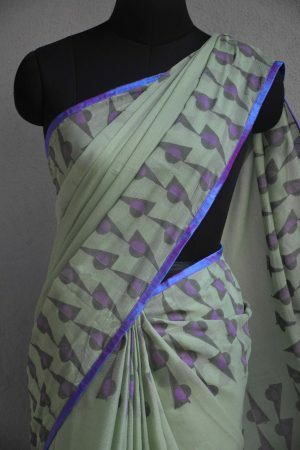 The alluring designs accentuate the appearance of these sarees. 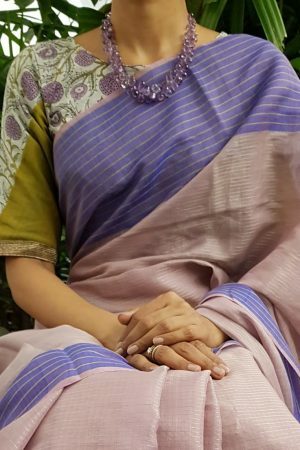 The simple handloom cotton sarees are transformed to look spectacular. 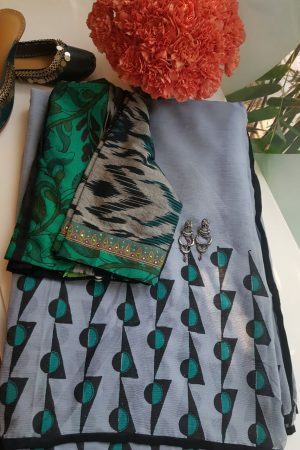 Our expert designers keep a track of the latest fashion trends and keep on experimenting to produce something unique. 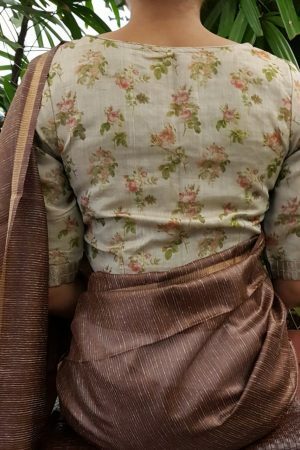 Our collection comprises of sarees with floral prints; the block floral print to accompany zari borders on fine silk sarees, results in the creation of a beautiful range of sarees. 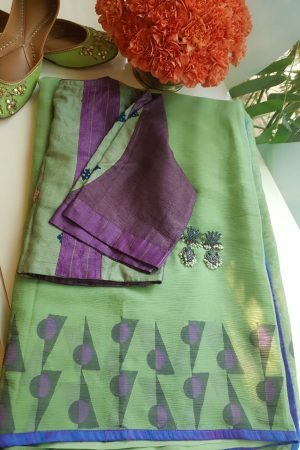 The collection even consists of sarees where more attention is focused in styling the pallu, adorning the look of a saree. 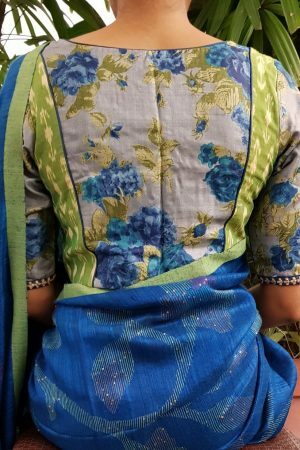 Some of these handblock printed sarees are embellished with stones and kundans, making it a great wear at parties and wedding functions. 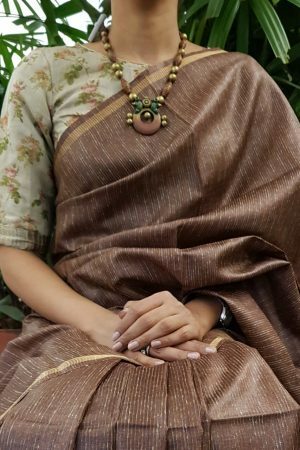 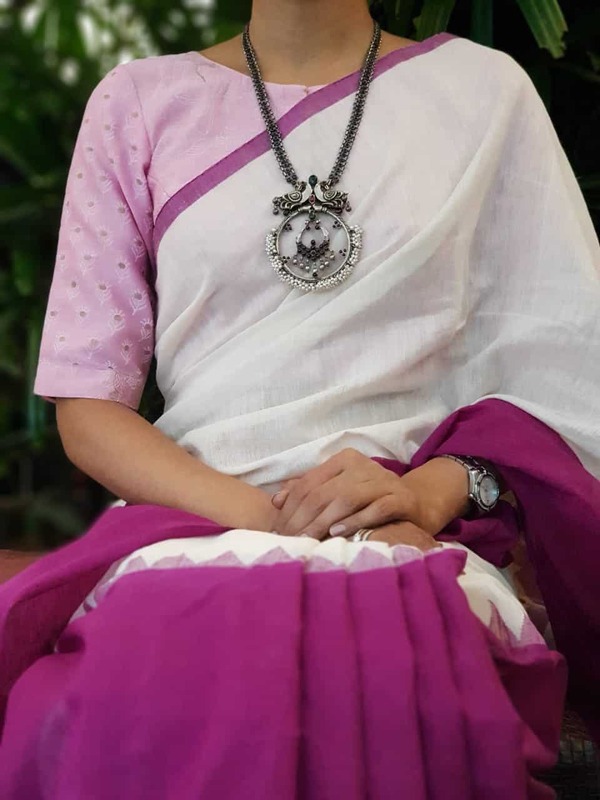 The simple handblock printed sarees are suitable for corporate functions as well. 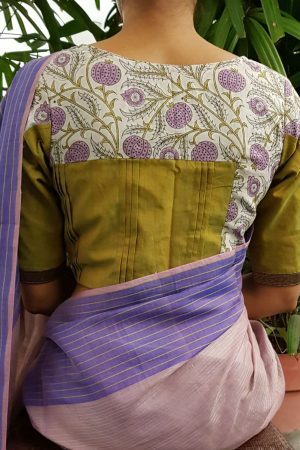 Block prints are available in cottons,crepes,chiffons,chandheris,maheshwaris,silks and nets Lot of experimentation has been done to extend the range of our designer collection. 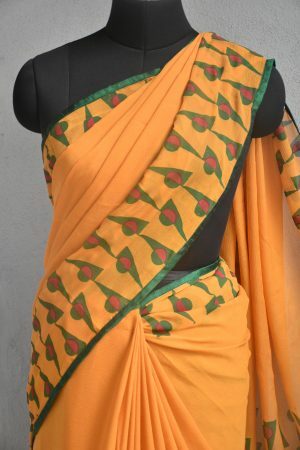 You can buy handblock printing sarees from our online shopping stores. 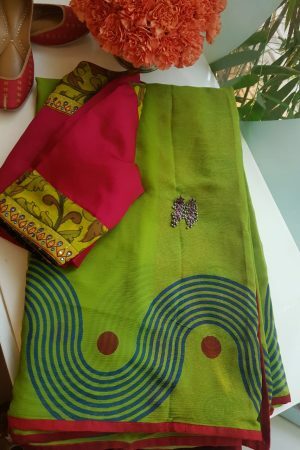 Avail the best handblock garments at best prices from Aavaranaa. 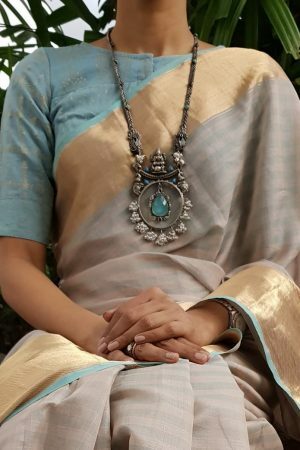 The rich collection at our online stores will definitely make you fall in love with the brand. 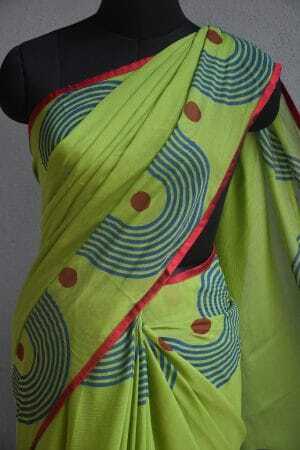 It is a perfect place to order online handblock printing sarees. 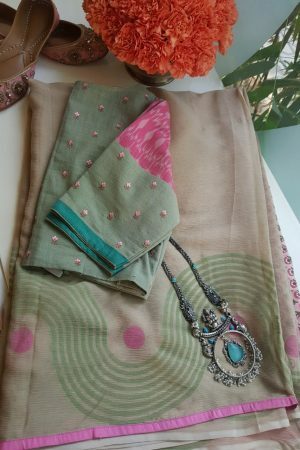 If you are looking for something traditional that catches the eyes of everyone, you cannot go wrong with our fabulous collection of handblock printing sarees. 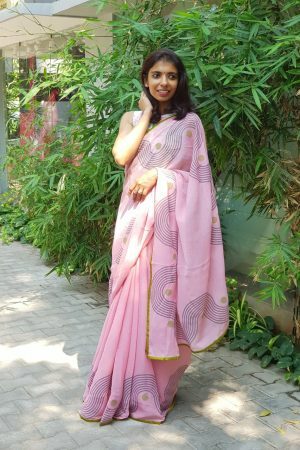 The saree shopping is so much fun, come and experience it with Aavaranaa.